State Representative Avery Bourne (R-Raymond), furious about the lack of a state budget and seemingly empty session calendar thus far this year, joined fellow House Republicans calling for no adjournment as scheduled for the entire month of March. Bourne’s colleague, State Representative Tom Demmer (R, Dixon) called for a motion to stay in session. Rep. Demmer went on to explain that at the conclusion of session on Thursday, Republicans made a motion to bring the legislature back the following day. The motion, despite being completely in line with the rules, was ruled out of order with Democrat leadership scurrying quickly from the chamber to prevent debate on the issue. The video of this exchange can be viewed below. 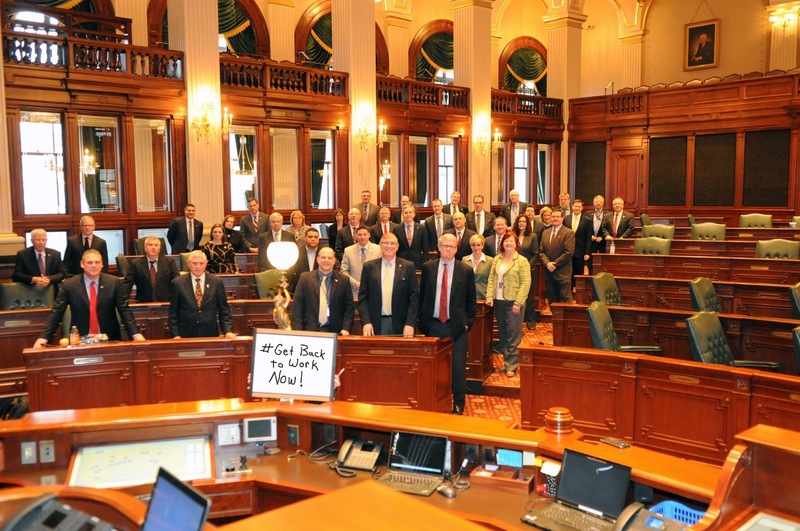 The photo was taken shortly after the House Democrats cleared out of the chamber despite the requests from Republicans to keep working. Illinois House Speaker Michael Madigan, who determines the session schedule, put in place a four week gap in the month of March for what many assume is political reasons. The House is not set to be back in session until April 4th. 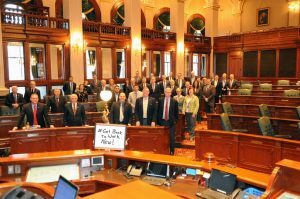 Do you agree with the House Republicans, given the challenges facing Illinois, that the legislature shouldn’t take a month long break during March? Tell us what you think here.